Today's polish is Rescue Beauty Lounge Locavore. Locavore made it into a Bring it Back vote awhile ago, and I snapped it up. It's sister, Look Rich Be Cheap, just sold out yesterday, so I wanted to show you this before it happens to sell out! 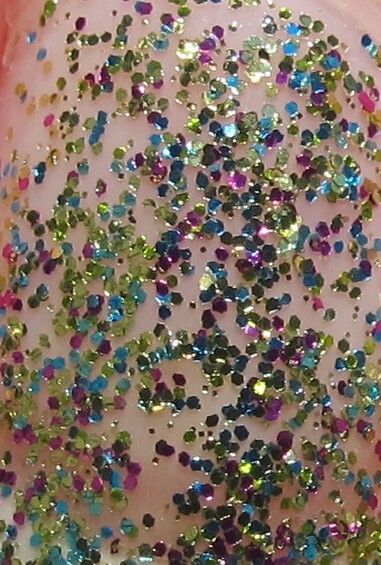 Locavore is a pretty mix of green/gold, purple and blue glitter in a clear base. This is a full coverage glitter in just two coats. As with all full coverage glitters, it looks more sparse in these pictures than in person (love the macro setting, but hate the macro setting). This is two coats and the application was very smooth. I really love this mix of colors too! 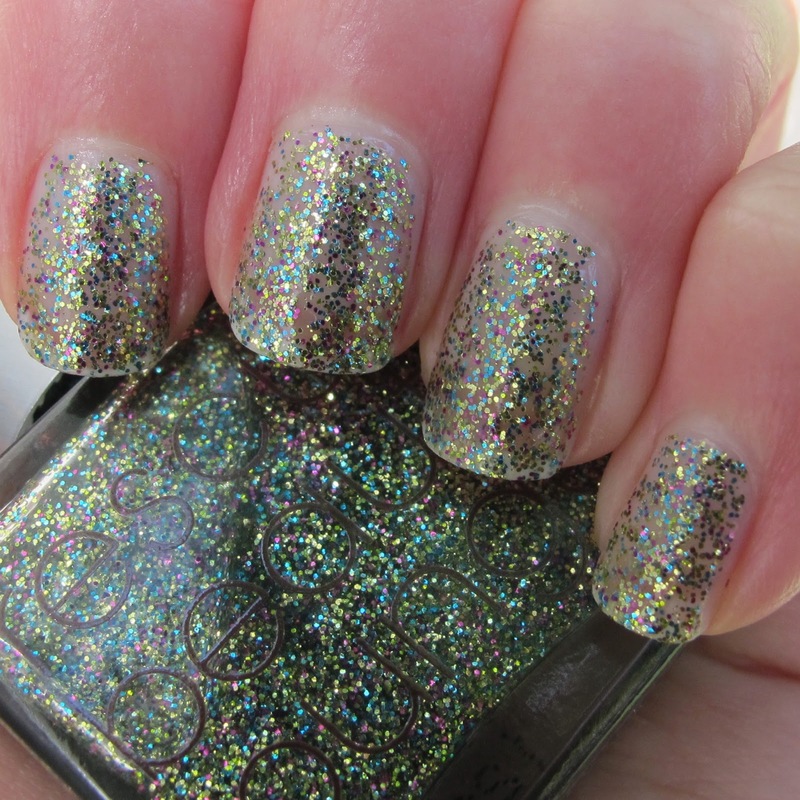 In person, you really can't see any VNL, so it looks super pretty and sparkly! I'd suggest ordering Locavore sooner rather than later if you want it. It was brought back once, but I think once it sells out, it's gone forever. Rescue Beauty Lounge Locavore is available now on rescuebeauty.com. Speaking of Rescue Beauty Lounge, did you pre-order anything from the new Georgia On My Mind collection? I got Jack in the Pulpit and Santa Fe Road! Swatches when I get them! !